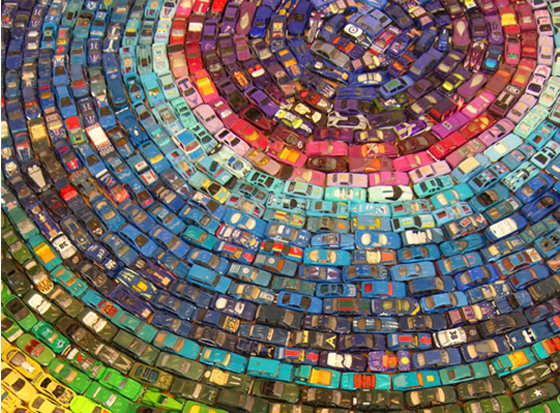 What Can Audi Teach You About Your Twitter Metrics? Breaking down your Twitter metrics can cause a headache, and that’s if you know what to look for. If you don’t, it can cause a nightmare. All the “big data” in the world doesn’t make a difference if you don’t know how to use it to develop a set of action plans and next steps. This can be especially tough when trying to gain insights after an event or specific campaign that seems to skew any actual insight. Since the Super Bowl happened recently, let’s use Audi as a case study. The car maker advertised during the game, and the buzz around these ads can seemingly distort any usable data about the account, but when you have the right tools and start looking at things from the right angle, you’ll start to see your analytics in a whole new light. 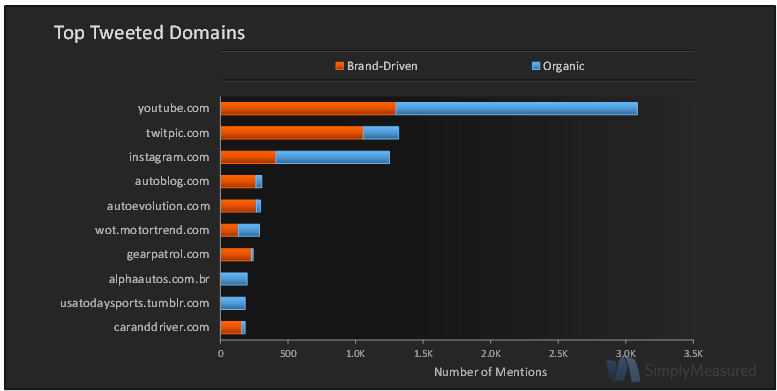 Let’s take a look through Audi’s data from the last month and break down the usable data into Twitter metrics lessons. So today we officially passed @lexus in followers. Kudos to the fans – though it's really not unusual to pass a Lexus in an Audi. Calling out Lexus in a playful way gained Audi some Twitter street cred as well. They should focus on incorporating this type of personality into their Tweets more regularly. The big spike for Sundays is obviously an outlier caused by The Super Bowl. In this case, the best way to make this data meaningful is to discount that entirely. When looking at the other data, we can segment by day. 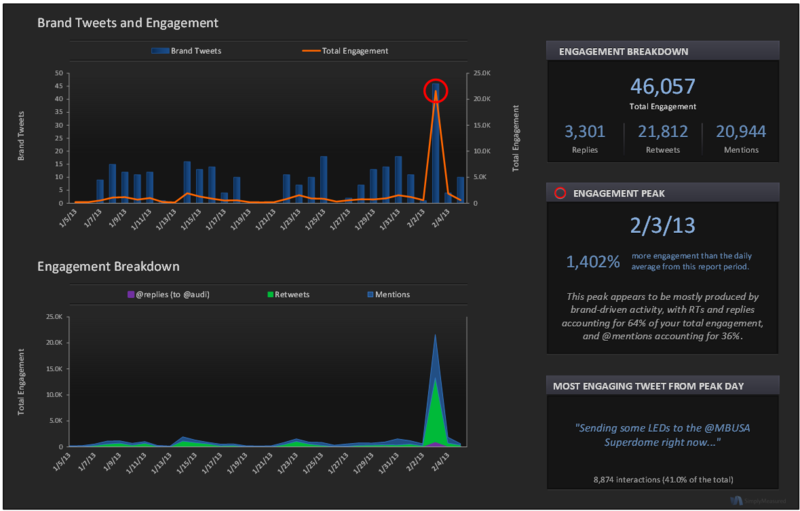 On Mondays, Audi sees their biggest spike in engagement at 9AM. They don’t, however, see similar results on Friday, even though they’re posting the same amount of content. Audi should focus more attention on engaging with their Twitter audience during Monday’s peak hours, as well as Wednesday between 10AM and 12PM. With all the blogs about higher levels of engagement from Facebook photos, Audi’s data almost seems counter-intuitive, but you have to remember that Twitter is an entirely different animal. Audi saw much higher engagement from their “normal” Tweets than they did from photos or videos. They also saw good engagement from the Tweets containing links. These are two areas of their strategy that the folks at Audi can focus on in the future. It’s easy to overlook your most engaged followers. After all, they’re already engaged, why focus on them? The answer is simple: These people are brand ambassadors. Keep them engaged, happy and feeling included. This will help them promote your content in a way you couldn’t do on your own. 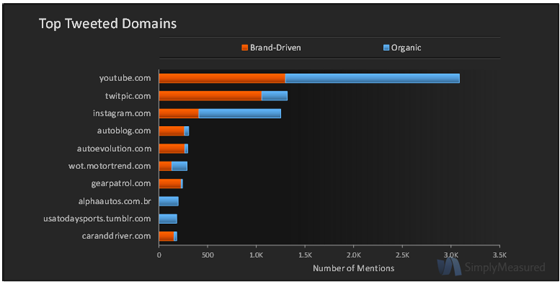 As an example, user @AudiForLife has mentioned the brand 364 times. Clearly they’re a fan, and staying in their community’s good graces should be a secondary focus. You should focus on the followers with the biggest reach and highest level of influence. These factors will help bring your message to a larger audience, from sources they respect. In the ‘Brand Tweets By Content’ chart, you were able to make sure the domains in your brand tweets are being received well, but you should also be aware of what links your followers are mentioning in conjunction with your brand. In Audi’s case, if they’re sharing Instagram photos, that’s an area of focus. If they’re sharing a Tumblr post from USA Today Sports that your brand hasn’t posted about, you should take a look at the link. Maybe it’s something you need to share with your fans or maybe it’s an issue you need to address. Probably one of the most overlooked metric is the Twitter client distribution. Especially as you post links, photos and videos, you need to be aware of how they’ll be received. For Audi, the vast majority of followers are interacting through their iPhone. This is a good incentive to avoid posting links to web-based articles or intricate websites. Keep the content simple to access via mobile, and these users will continue to engage. Frustrate them, and you’ll most likely lose some. Sometimes looking at data is easier when you’re not as close to it. When you sit down with yours, take a step back and ask yourself: “If I knew nothing about what we’d been working on, what story do these numbers tell?” If you can answer a few questions with that in mind, developing an action plan will come a lot easier. As community manager at Simply Measured , Kevin builds and maintains social content and media relationships to help improve, promote and utilize the company's innovative social media analytics and trend reporting tools.